AFTER this year’s Oscar-fuelled success of The Artist and, more recently, Untouchables – which is on course for a place in history as France’s most successful film – the French Film Festival UK celebrates its 20th anniversary against a background of euphoria. The 20th edition, embracing French and francophone cinema in all its diversity, in key towns and cities around the country features a bumper programme bursting with variety and vitality. The main festival runs from November 8 to December 2. The event opens with a bang: the UK première in four cities (London, Edinburgh, Glasgow and Dundee) of Astérix and Obélix: God Save Britannia / Astérix et Obélix: Au Service de Sa Majesté, a £50 million extravaganza adapted from René Goscinny and Albert Uderzo’s original 1966 comic book Astérix in Britain. It features a stellar cast with Edoard Baer as Astérix, Gérard Depardieu as his rotund sidekick Obélix and Catherine Deneuve incarnating the Queen of England. It only opens in France on October 17 and had its avant-première at the British Film Festival in Dinard, the FFF UK’s opposite number across the Channel. Says a spokesperson: “The festival puts a major retrospective focus on the work of Chantal Akerman, the Belgian filmmaker, who as been described as one of the boldest cinematic visionaries of the past quarter century and has a body of work that is singular and influential. The Panorama section features contemporary dramas with insights into the way we live now and vital global concerns by such directors as Philippe Lioret (All Our Desires), Cédric Kahn (A Better Life) and Moussa Touré (La Pirogue) to a hard-edged thriller from Pierre Jolivet (Armed Hands) and sophisticated comedy from Anne Fontaine (My Worst Nightmare) and Noémie Lvovsky (Camille Rewinds) and childhood nostalgia (War of the Buttons). Discovery uncovers new promising talents among them such strong female directors as sisters Delphine and Muriel Coulin (17 Women) and Valérie Donizelli (Declaration of War) as well as actor-turned-director, Jalil Lespert, with his second feature Headwinds. Pierre Schoeller, who made Versailles, joins the array with his highlyregarded second outing, The Minister. There are refreshing debuts from François Pirot,with Mobile Home, an ingenious road movie, and Sophie Lellouche’s Paris-Manhattan, a romantic comedy of charm with more than touch of Woody Allen. Also making a mark are the hit What’s in a Name (Mathieu Delaporte, Alexandre de laPatellière) and A World Without Women (Guillaume Brac). As part of the festival’s wider horizons a special welcome is given for the first time to The Québec Cinema Showcase with a representative selection of features and shorts including Xavier Dolan’s Laurence Anyways. Cinema heritage makes a strong impression with the stunning restoration of Georges Méliès’ pioneering A Trip to the Moon from 1902 (and a documentary about its rebirth The Extraordinary Journey) as well as classic titles from René Clément, Jacques Demy, and Georges Franju. Exclusive previews of films due to be seen shortly on UK screens have been compiled with distributors Soda (Renoir and Journal de France), Swipe Films (You Will be My Son), Lionsgate (Rebellion), Our Children (Peccadillo) and Partners in Crime (StudioCanal). To date, confirmed festival guests include Chantal Akerman (Allmayer’s Folly), Pierre Jolivet (Armed Hands), Eric Lange (The Extraordinary Voyage), Sophie Lellouche (Paris-Manhattan), François Pirot, Arthur Dupont, Guillaume Couix (Mobile Home) and Noémie Lovsky (Camille Rewinds). Updates via website, www.frenchfilmfestival.org.uk. A photographic odyssey through the two decades of the festival will adorn the walls of partner hotel Sofitel St James in London and the café-bar of partner venue Edinburgh Filmhouse for the event’s duration, an exhibition curated by the festival’s film and image crew Otto Koota and Peter Rebac whose documentary on 20 years of French cinema, Vingts ans dèja will be available to sample at select screenings and online. Musician, Jason Kouchak, has a new role as the Festival’s music director, playing at various gala occasions including a launch in Paris on October 17 hosted at his residence by Sir Peter Ricketts, the British Ambassador to France. PARTICIPATING CINEMAS IN ENGLAND: LONDON CINE LUMIERE, BRISTOL WATERSHED, MANCHESTER CORNERHOUSE, WARWICK ARTS CENTRE. 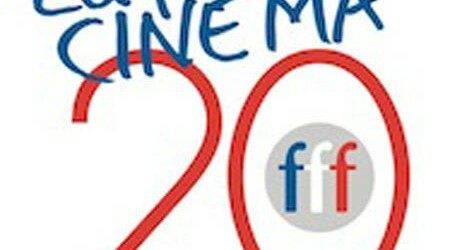 The French Film Festival began in 1992 in a modest way in two Scottish cities, Edinburgh and Glasgow and gradually has grown to encompass many key locations throughout the UK from Dundee and Kirkcaldy to Inverness and Aberdeen as well as London, Bristol, Warwick and Manchester. The festival presents a wide spectrum of French-language cinema from major hits to cutting-edge new directors and classics and retrospectives. Originally, the FFF was created by two film journalists Richard Mowe and Allan Hunter, the latter now co-director of the burgeoning Glasgow Film Festival. Mowe is now director of the FFF with Ilona Morison as deputy director. The festival’s supporters include Creative Scotland, Institut français, Alliance francaise, the French Embassy, Total, TV5, Regional Screen Scotland, Wallonie-Bruxelles Images; SODEC; The Caledonian (A Waldorf Astoria Hotel), Sofitel, Novotel and many other funders and sponsors. More information can be found via the festival website www.frenchfilmfestival.org.uk or follow us on Twitter and Facebook. MEDIA RELEASE posted by the Institut francais d’Ecosse. You too can post media releases (aka press releases) on allmediascotland.com. For more information, email here.